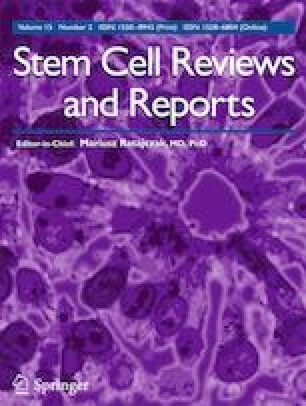 More than a decade ago, a pioneering study reported generation of induced Pluripotent Stem Cells (iPSCs) by ectopic expression of a cocktail of reprogramming factors in fibroblasts. This study has revolutionized stem cell research and has garnered immense interest from the scientific community globally. iPSCs hold tremendous potential for understanding human developmental biology, disease modeling, drug screening and discovery, and personalized cell-based therapeutic applications. The seminal study identified Oct4, Sox2, Klf4 and c-Myc as a potent combination of genes to induce reprogramming. Subsequently, various reprogramming factors were identified by numerous groups. Most of these studies have used integrating viral vectors to overexpress reprogramming factors in somatic cells to derive iPSCs. However, these techniques restrict the clinical applicability of these cells as they may alter the genome due to random viral integration resulting in insertional mutagenesis and tumorigenicity. To circumvent this issue, alternative integration-free reprogramming approaches are continuously developed that eliminate the risk of genomic modifications and improve the prospects of iPSCs from lab to clinic. These methods establish that integration of transgenes into the genome is not essential to induce pluripotency in somatic cells. This review provides a comprehensive overview of the most promising DNA-free reprogramming techniques that have the potential to derive integration-free iPSCs without genomic manipulation, such as sendai virus, recombinant proteins, microRNAs, synthetic messenger RNA and small molecules. The understanding of these approaches shall pave a way for the generation of clinical-grade iPSCs. Subsequently, these iPSCs can be differentiated into desired cell type(s) for various biomedical applications. Manash P. Borgohain and Krishna Kumar Haridhasapavalan contributed equally to this work. We thank all the members of the Laboratory for Stem Cell Engineering and Regenerative Medicine (SCERM) for their excellent support. This work was supported by grants North Eastern Region – Biotechnology Programme Management Cell (NERBPMC), Department of Biotechnology, Government of India (BT/PR16655/NER/95/132/2015), and by IIT Guwahati Institutional Start-Up Grant. The authors declare no potential conflicts of interests.